After news that Xbox will be distributing The Rise Of The Tomb Raider exclusively on the Microsoft platform, Lara Croft has stepped her game up with her Temple of Osiris game. Developed by Crystal Dynamics, Lara Croft and Temple of Osiris is a sequel to the video game Lara Croft and the Guardian of Light. 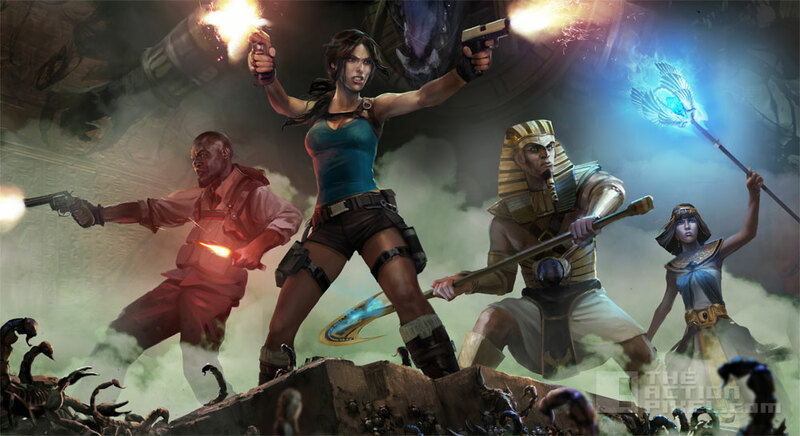 In Lara Croft and Temple of Osiris, Lara unwillingly teams up with rival archealogist Carter Bell and imprisoned Egyptian gods Horus and Isis, to defeat the evil god Set. The game allows for 4-player co-op modes, where you have to solve puzzles, avoid traps, fight enemies all the while trying to get your hands on treasures and riches. • All-New Adventure – Lara must overcome deadly traps and forsaken gods to uncover the missing pieces of Osiris and change her fate. • Classic Arcade Action – First ever 4 player co-op multiplayer experience featuring Lara Croft. Have your friends play as Carter, Isis, and Horus while you play as Lara in the fully cooperative story mode – both offline and online supported. • Competitive Co-op – Compete against your friends with seamless drop-in/drop-out co-op to earn bigger rewards, treasures, and powerful artifacts to boost your character. Will you work together or will you sacrifice your friends for a higher score? • Explore The Temple of Osiris – Lara’s return to a fan-favourite location featuring stunning visuals with dynamic weather and world state changes. Lara Croft and the Temple of Osiris launched December 9th 2014 for Xbox One, PlayStation 4, and PC.